Carried by the Scots in their struggle against their bitter enemies, the English. A devasting weapon in the hands of a brawny highland warrior. Remains of this massive Scottish war sword are housed in London’s British Museum. 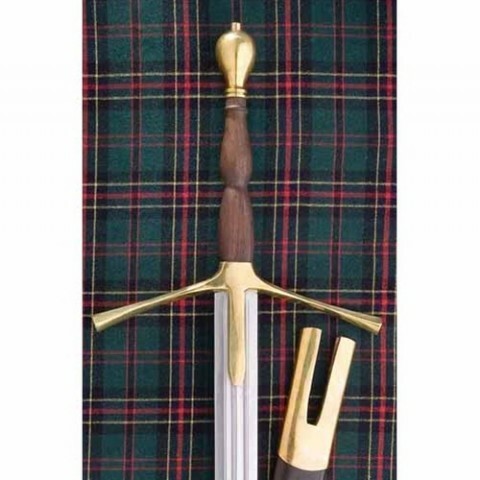 As with many Highland weapons parts are made of brass to prevent rust in the damp climate. 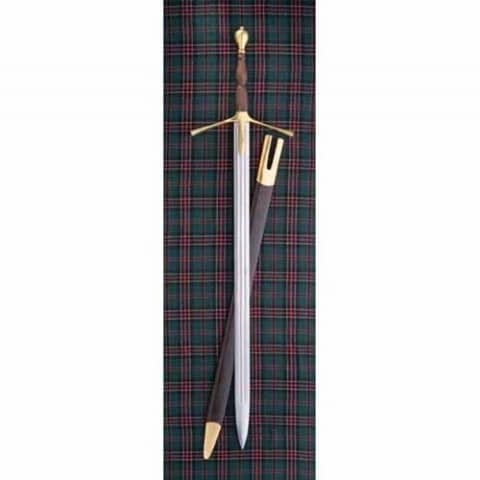 Hardwood grip and accentuates this very attractive sword. High carbon fullered blade 1.05m x 50mm. Overall length 1.35m. Weight 3kg. Can be factory sharpened for an additional $40.